Are you ready to say goodbye to Timeless? Recently, star Goran Visnjic spoke with Entertainment Tonight about the upcoming NBC series finale. 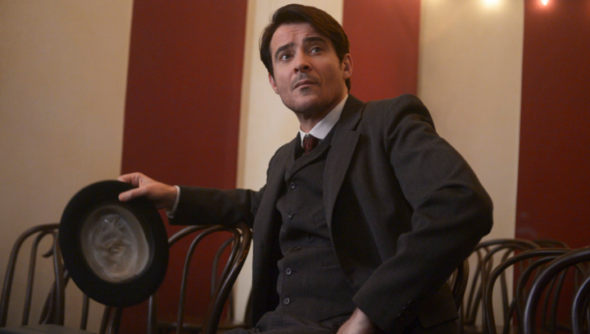 Visnjic plays Garcia Flynn on the time travel drama, which also stars Matt Lanter, Abigail Spencer, and Malcolm Barrett. NBC cancelled the show after two seasons before ordering two-hour finale special. 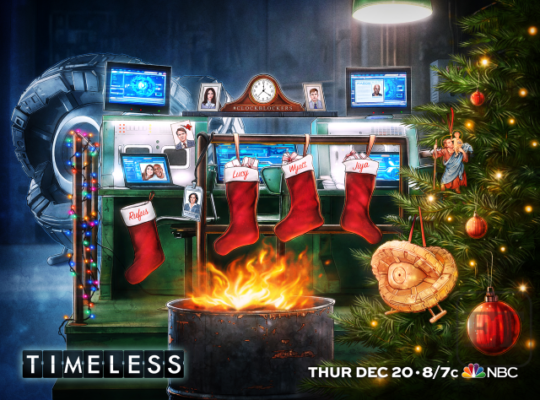 The series finale of Timeless debuts on NBC on December 20th at 8 p.m. ET/PT. What do you think? Are you a fan of Timeless? How do you want the series to end? More about: NBC TV shows: canceled or renewed?, Timeless, Timeless: canceled or renewed? I thought Timeless was one of the best, most original shows that jad come out in awhile & I’m pretty pissed they cancelled it again & nobody will pick it up. It would be a great fit for the Syfy channel. This is why I hate to get into new shows, once I’m hooked they yank it out from under me. I read there’s a good chance NBC’s gonna cancel Midnight Texas too so I’m on the verge of boycotting NBC. I want a happy ending! Would like to see it continue. Would like Timeless to continue. Enjoyed the show and the characters were very likeable. Wish another network would pick it up and keep going the best show I have watched in a long time. I would prefer it if the series did not end. I am glad for a series finale but would rather have the series continue. It was the best show on any of the stations. It is a shame it was cancelled. I was enjoying the series and am sorry to see it go. It had so many possibilities.